Keywords:Insanity. 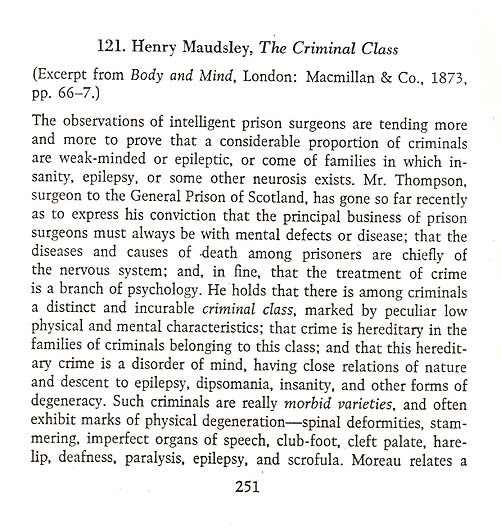 Maudsley. Prison. Psychology. Criminal class. Heredity. Alcoholism. Degeneration. Physiognomy. Epilepsy. Energy. Women. Organization. Moral Insanity. Neurosis.